Knowing your customer is critical but complex journeys across multiple devices present travel brands with huge challenges. A new report investigates how travel brands can conquer attribution. Travel brands should attack the issue of attribution from multiple angles says EyeforTravel’s new Understanding the Customer report, a completely free report, which can be downloaded now. Approaches range from tracking through cookies, data-driven attribution and encouraging customers to log-in to own brand sites and apps, all of which needs to be underpinned by a strong data program that measures changes over time. Travel brands need to undertake an extensive and multi-faceted approach because attribution requires capturing interactions at so many touchpoints over extended periods and with different devices. Mobile bookings in particular have additional complexity in terms of attribution, as mobile remains a last-minute channel, with short leads times leaving limited room to build up tracking data. 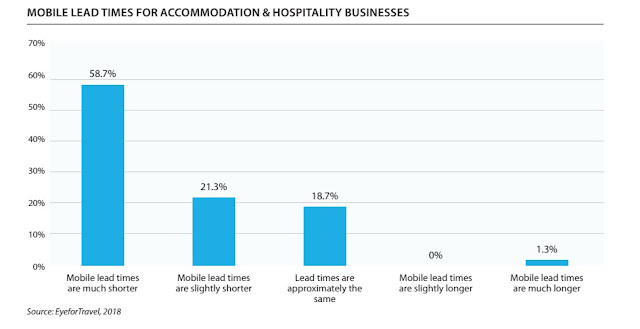 In EyeforTravel’s Mobile Industry Survey 2018, 80% of accommodation business surveyed reported that mobile lead times were shorter, with 58.7% saying that they were much shorter. Just 1.3% found that mobile lead times were longer. This can leave brands reliant on just last touch attribution, particularly when it comes to mobile bookings, and often looking at an incomplete view of their customer’s journey. Maria Gómez Bada, analytics expert at HomeAway.com, argues that travel firms should fight the tendency to analyse just the last click, and see the whole picture. She believes that Google Analytics default attribution model, which will show you your customer’s last known direct click, gives an incomplete picture. Instead, she proposes data-driven attribution models for most online, complex companies.